Binary Space: Where Did We Go? If you’ve been playing Class 3 Outbreak or Zombie Outbreak Simulator for a while, and keeping up with what we’re doing, you’ve probably noticed that we’ve been extremely quiet lately. 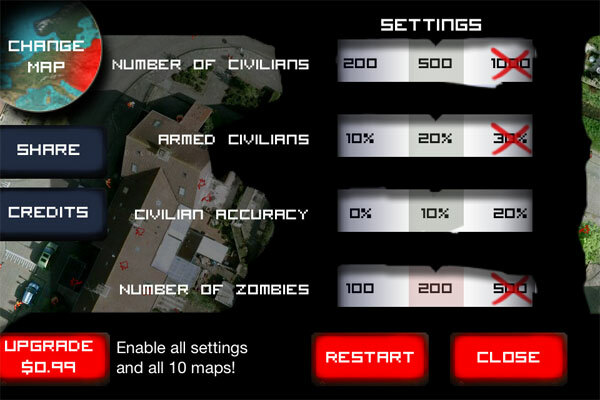 The last major update on our blog was back in April, just after we released Zombie Outbreak Simulator for iOS, with a minor post at the beginning of May when we released v1.1 of ZOS for iOS with support for 10 maps. Our last post on our Facebook page was back in June, and we haven’t posted much on our forums in ages. So what happened, and where did we go? Were we bitten by zombies? Were we kidnapped by government operatives seeking our expert knowledge on simulating potential zombie outbreaks? Here, finally, is an update of what we’ve been up to. Followed up with a big announcement of where Binary Space is going next! 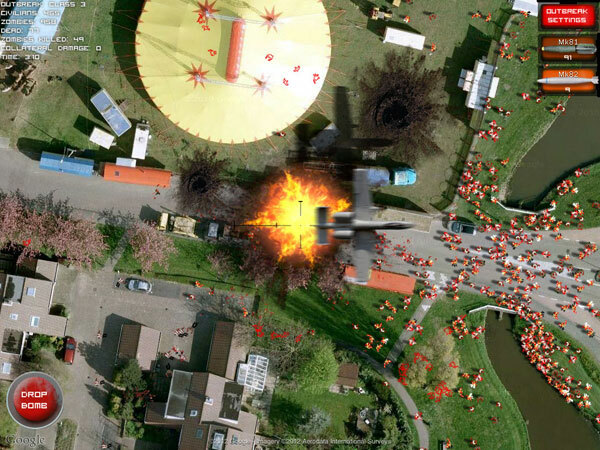 At the end of May we released Zombie Outbreak Simulator Free for iOS. By default a single map was enabled, with limited infected options. There was a single in-app purchase for $0.99 to upgrade to the full version, enabling all 10 maps and all of the options. In June we released an update to ZOS on iOS which added the ability to drop bombs on the unsuspecting hordes (and unlucky civilians). On the 11th of June 2012 at Apple’s WWDC keynote, Apple announced iOS 6. 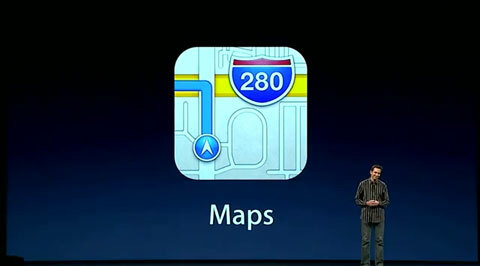 One of the major features announced was that Apple were replacing Google Maps with their own new mapping platform. We had thought this might happen at some point – there had been widespread speculation that Apple were going to replace Google Maps, since Apple had been acquiring a number of mapping-related companies. 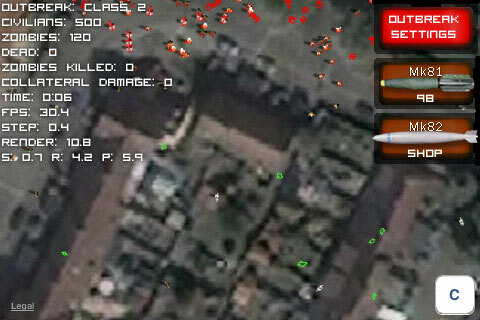 At the time we were working on the bombs update. We finished that off and submitted it to Apple. While we were waiting for it to be reviewed, I downloaded the developer preview of XCode and iOS 6, to test ZOS. To be fair to Apple though, their release notes did say “Map data will continue to evolve – only a limited amount of high-resolution satellite imagery is currently available”. By the time iOS 6 was due to be released (rumoured to be mid-September at that point), maybe the image quality would have been better. But we couldn’t exactly bet on that happening. Plus, even if Apple’s imagery was great, it was still different to Google’s. For the couple of maps which were recognizable, the imagery didn’t line up with the walls, trees etc that we’d edited, and which did align with the Google maps – which would have meant re-editing those maps somehow. I tried asking Google if they were planning to release their own new native API for iOS. If they were going to release something before iOS 6 came out, maybe we could just switch over to it. Their response was “we can’t comment on what our future plans are”. With no other options available, we figured we had to remove Map Kit, so remove the currently-Google-soon-to-be-Apple maps. Rather than leave ZOS to die when iOS 6 was released, we decided we’d buy some aerial photos, and just embed them directly in the game. We had already bought one map of Leicester England from Bluesky for the original C3O, so we bought another map from them of Coventry England. Huge thankyous to nearmap.com for also allowing us to use some of their aerial photos for three locations in Australia! We tried to find some aerial photos in the US (as most of our sales of ZOS for iOS have been from the US), but we were unable to find anyone who would sell us aerial photos of a good enough quality. Embedding the photos into the app instead of using Map Kit to download them as needed from Google increased the size of the app considerably. I didn’t want the app size to increase too much, or else it might become too large to download over the mobile network in a reasonable time. So we decided to reduce the total number of maps to five. We released the update in mid-September, a few days before iOS 6 was due to be released. That was over two months ago – since then it’s been basically radio silence from us. What have we been doing? Mostly, Jay and I have been taking a break, and having lots of discussions about what to do next. In the end, Jay and I have decided that we’re going to split up, and go our separate ways. It’s been over three and a half years since we first started working together on C3O and ZOS, and while we’ve worked together well, we’ve come to realize that we have different ideas about the types of games we’d like to build. Jay is going to release the game he’s been working on for the last year or so under his own new company name. And Jay has agreed to let me take over Binary Space – we’ve come to an agreement where I’ll gradually buy out his share of the company over the next several years. So what am I going to do with Binary Space? Last year more smartphones were sold than PCs, with smartphone sales growing by about 60%, tablet sales growing by about 270%, and PC (desktop, notebook and netbook) sales only growing by about 2%. Although the PC is far from ‘dead’, mobile seems to be the place to be at the moment. So I’m very keen to keep developing for mobile platforms. However, the major problem for mobile apps is ‘discovery’. With over 700,000 apps on Apple’s App Store as of September, and Google Play also hitting 700,000 apps about a month ago, it’s extremely hard for apps to get noticed. Many apps struggle to get anywhere, and the vast majority of apps probably earn very little. ZOS has done reasonably well on iOS, with over $20k of sales from over 100,000 downloads since we released in April. I think the main reason is that we already had a lot of people playing our web-based games, which we could promote the iOS version of ZOS to. So what I’m planning is a two-pronged approach: continuing to develop both the mobile and web-based versions of our games. While we’ve earned some revenue from ZOS on iOS, we’ve earned very little from the web-based versions of C3O and ZOS. So by continuing to develop for mobile I hope to continue earning revenue to help support Binary Space. And by continuing to develop the web version of C3O I hope to keep up a steady stream of players who might be interested in buying the mobile version. One thing I want to do is build a stronger link between the web and mobile versions. There are about 2000 maps featured on the front page of class3outbreak.com, but the iOS version of ZOS only has 5 maps. What I’d like to do is make it possible for the iOS version of ZOS to play all of those maps which are available on class3outbreak.com. This was something that I always wanted to do with ZOS on iOS, right back from when we first started working on it, but we decided to start small and just support a single map at first. After the initial launch we decided to take it in stages, first increasing that to 10 maps. I had hoped to eventually extend that further. After that I’d like to keep adding further updates to ZOS on iOS, to help keep it interesting. However it will probably always remain as a kind of ‘toy’, just an amusing LOLfest to pass a bit of time :) In the longer term I’d like to also release Class 3 Outbreak on iOS, to bring some actual gameplay with controllable units to iOS, but that will be a fair way in the future. Then there’s the web version of C3O. It’s been forever since we last released an update for it – way back in August last year when we added shotguns. I’m going to start working on updates for the web version again, and the first things I plan to do are centred around giving map editors more control over their maps. At the moment all games use the same infection settings, which were tuned by Jay to feel okay for an ‘average’ suburban map (and the settings can only be changed in ZOS). The first thing I want to do is give the map author the ability to choose the default infection settings, so that you can choose what makes sense for your map. Currently your starting group of survivors always starts right in the middle of the map, which was just the easiest thing to develop first. Instead I’d like to add the option for you to choose the spawn point for your survivors. At the moment the game has no objective – you start with some survivors, and have to try to avoid the zombies, but otherwise there’s nothing in particular to do. I’d like to add the ability for the map author to choose an objective. Over time I’d like to add several different objectives which you can choose from, with the ability to change the relevant parameters. For example these might be to survive for X minutes, or to get to location X, or to rescue person X from location Y, and so on. I’d also like to extend the game from being about a single map each time, so map authors can create a ‘campaign’ across multiple maps. So you could create a collection of maps where once you complete the objective on one map, you can progress onto the next map. Eventually you might also be able to carry your team of survivors from one map to the next. On top of these kind of editor controls, the actual gameplay itself could do with some more features, like the ability to find and use more kinds of weapons and equipment, equipping your team, forming survivors into squads, building defences, survivor skills, and so on. Maybe there will be other types of people you can find to help your group of survivors – like police or military. At the moment you need to play out an entire game in a single session. As the game gets more complicated I’ll need to add in some kind of way to save your progress, so you have a persistent game stored on the web site, and you can drop in to the site to play for a few minutes (or longer :) ) whenever you like. Perhaps you’ll have a home base which you can gradually build up over time, adding fortifications while you continue to scavenge for supplies and recruit new survivors. Eventually it would be awesome if there could be some kind of cooperative multiplayer, maybe even make it somewhat MMO-like, so each map has its own set of persistent fortifications. However, I’m only one person. All of the above will take a lot of work, and I’ll be adjusting priorities as I go, based on what seems like the best idea at the time, and based on the feedback I get from you. Adding more features to the web version of C3O will hopefully help in advertising the mobile version of ZOS to more people, and it will hopefully help make more maps for mobile players to enjoy. However another benefit of working on the web version of C3O is so that I can try out various gameplay ideas, which I could eventually make use of in a mobile version of C3O. This is why a mobile version of C3O is probably a fair way off yet. Originally, Jay and I planned to turn the web-based version of C3O into a free-to-play game – we mentioned this back when we launched our crowd-funding campaign. So you would have been able to play the game for free, but have the option of spending real money for extra in-game items if you wanted to. In the long term this may still happen, but it’s not my immediate focus. There are a number of challenges around this, not least of which is that Google won’t allow me to charge for a website which uses Google Maps, without paying them a hefty ($10k+) fee first. My goal isn’t to squeeze every dollar I can out of C3O and ZOS, but the more I can earn, the more I can put back into developing the games. If I do introduce any free-to-play style features, I’ll want to do it in a way which isn’t sleazy, like many of the free-to-play games out there which essentially make you stop playing until you spend some money. As I mentioned earlier, I’m currently taking a break from work, spending time with my family. I set aside some money from my savings to cover me for about 6 months, so I’ll be returning to full time work around the end of January. That means that from now I’ve got about 2 months, where I’m hoping to be able to get a bit of a head-start on developing some of the above features for C3O and ZOS on iOS. After that I’ll be back to developing C3O and ZOS in my spare time around my work and family, so the pace will be slower, like how I developed the games in the past. Since it’s been so long since I did anything on the web version of C3O, I’m going to focus on releasing an update to that first – ie the ability for the map author to change the infection settings. After that I’ll switch to working on both the web and mobile versions in parallel – maybe a couple of days on one, then a couple of days on the other. I’ll see how it goes – it may be easier to concentrate on a single feature on one platform at a time. I’m also planning on doing things a bit more transparently than we did in the past – so discussing what I’m working on and what I’m planning to work on, posting more on the blog, on Facebook, and on the forums. As well as being not much of an artist, I’m not much of a game designer. Jay did most of the game design (and he is a huge zombie fan), so he mostly came up with the ideas (and then I disagreed with him..). Instead, I’ll be mostly relying on your comments and feedback, for ideas on what I should work on next. While I can’t guarantee to implement everything you ask for (there’s only one of me! ), I’d generally like to involve the community more, and work towards building the kind of game which you would like to see! Saxon, I’ve been a fan of yours and Jay’s work since C3O came out. Back when you only had around 200+ followers on facebook. I’m currently writing a survival horror book and I am looking to publish it sometime next year. If you are ever looking for some ideas as of storyline goes please don’t hesitate to contact me. Best of luck to you, and to Jay as well of course. Thank you so much! I’ve been a huge fan since the beginning, and I honestly love this game. Please don’t let it die. Ghoul Britannia: Land of Hope and Gorey is a new zombie adventure game being developed by Binary Space, to be released in 2019. 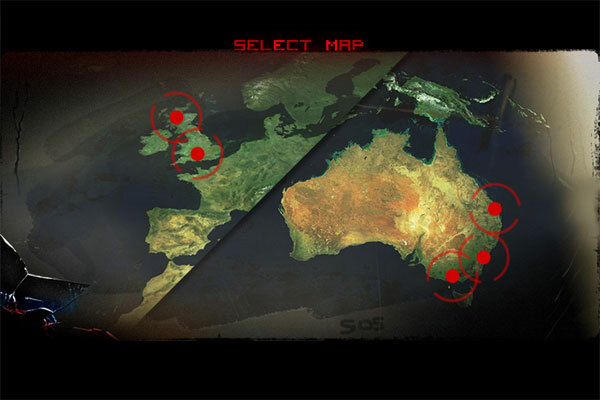 Binary Space is the developer of the games Zombie Outbreak Simulator and Class 3 Outbreak, which feature a zombie apocalypse played out in real locations on maps. 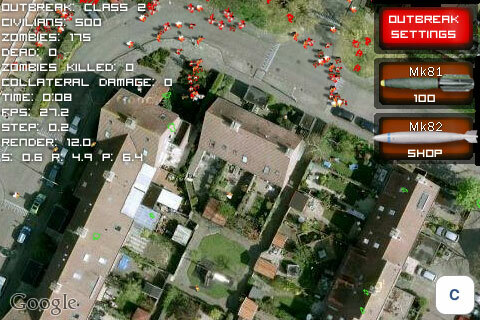 Zombie Outbreak Simulator is available on the App Store for iOS devices and on Google Play for Android devices. 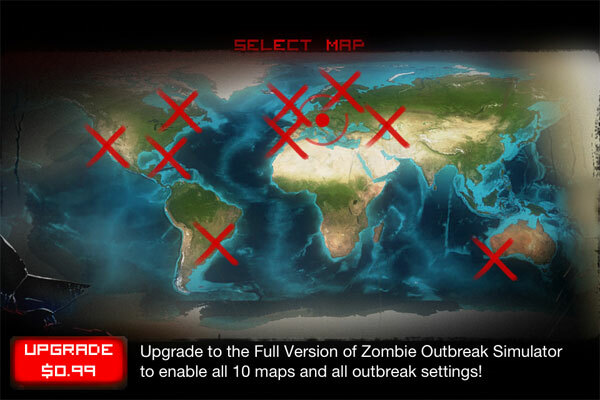 Both Class 3 Outbreak and Zombie Outbreak Simulator are also available on the web. Zombie Outbreak Simulator Hits Two Million Downloads!